Having highlighted Vegetables & Fruits, Quality Proteins and Whole Grains (in Parts 1 - 3), we now consider universal solvents that go into making a ‘healthy and balanced plate’. It’s important to note that almost all nutrients are either ‘fat-soluble’ or ‘water-soluble’. Interestingly, both fats and beverages can swing wildly between ‘good’ and’ bad’. Getting the right balance is vital, as fluids are carriers of nutrients as well as agents of lubrication, hydration and nutrient assimilation - to make the nutrients that we ingest more readily available to the body. One reason why we often get off-kilter is because fats and beverages have become the subject of myths, half-truths and misinformation in general. The truth is that fats and water are contained in almost all the foods we eat. The crux of the matter is that we have walked away from some of the healthiest fluids, which provided us ‘clean fuel’ and energised us. And if we wish to prevent common chronic diseases, such as diabetes, heart disease and cancer, it is important that we take in essential fatty acids. These help improve the functioning of the immune system, increase our energy and reverse some of the damage caused by chronic diseases. Every cell in the body takes in raw materials from the surrounding fluids and, as a parallel action, sends out numerous chemical messengers. Everything passes through the cell’s membrane, which in turn depends on essential fatty acids to remain fluid and flexible. Essential fatty acids are also important for bringing vital oxygen to the muscle cells, and they enable the cells to more easily absorb nutrients that are needed for our health and vitality. Within this, the ratio between Omega 3 and Omega 6 fats is key, especially since Omega 6s can increase inflammation and exacerbate cardiovascular disease, cancer, and inflammatory and autoimmune diseases. While a certain amount of inflammation is indeed necessary for survival (as it helps protect from injury or infection), excessive inflammation can help accelerate chronic diseases like heart disease, metabolic syndrome, diabetes, arthritis, Alzheimers and cancer. Omega 3s, on the other hand, reduce inflammation. Ancient man had got the ratios right (without any calculation)! In the good ole days, Omega 3 & 6 fats were consumed in almost a 1:1 ratio (for fish eating populations) or 1:4 ratio (for land based hunter-gatherers). Today most urban diets are woefully short of Omega 3s and the ratio has swung as far out as 1:16 in Western diets. And this has happened despite many studies suggesting that Omega 3s help protect against strokes caused by plaque build-up or by blood clots in the arteries that lead to the brain. To prevent chronic diseases, the consumption of all ‘non-foods’ or essentially ‘toxic’ fats and beverages must either be completely eliminated or dramatically reduced. The easiest way is to look at the ingredients list - the red flag items for beverages are: sugar, sodium, caffeine or alcohol; for fats, the alarm bells should ring whenever we see ‘trans-fats’, ‘saturated’ or ‘hydrogenated’ fats. In addition, one should try to develop a ‘nose’ for sniffing out fats that may have become rancid during storage and transportation. As summarised in Parts 1 - 3, a well-balanced, varied and wholesome diet, which is alkalising, mainly plant based and, whenever possible, fresh and organic, is indeed the best for overall health. When combined with a healthy activity level, the eating of traditional locally available foods tends to cultivate the right kind of immunity enhancing micro-flora in the gut. Eat a diet low in saturated fat and rich in monounsaturated and polyunsaturated fats, including Omega-3 fatty acids. 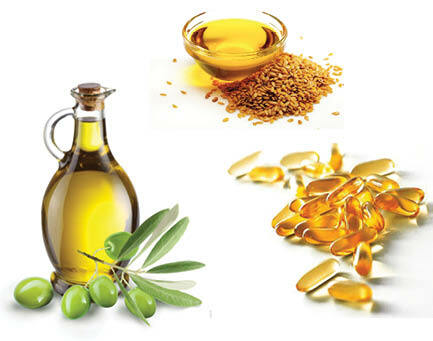 Fatty fish and Flaxseed oil are some of the richest sources of Omega 3. For Omega 6s, Olive Oil is one of the best for salads and low heat cooking. Eating at least 2 servings of fish per week can help reduce the risk of stroke by as much as 50%. Some nuts and seeds can provide a very healthy ‘top-up’ - a great example would be walnuts, which are rich in alpha linolenic acid, which converts to Omega-3s inside the body. Fish oil supplements can reduce LDL (the bad cholesterol) & triglyceride levels and increase HDL )the good cholesterol) levels. However, getting the right quality of supplements is not easy. Ideally the source should be ‘wild’ ocean fish, or supplements that meet pharmaceutical grade in terms of purity. It pays to source brands from established companies that certify that their products are free of heavy metals such as mercury, lead and cadmium. People on certain kinds of medications (e.g. blood thinners or medicines for diabetes) should consult a healthcare practitioner before consuming Omega 3 supplements in large doses. In terms of beverages, neither has the simple ‘clean taste’ nor the ‘healthful vitality’ of pure aqua or mineral water from a natural spring ever been rivalled. There is perhaps one exception – fresh, tender coconut water. Other than natural spring water, every beverage ‘invented’ by the industrialised mass consumption-machine has a completely superfluous, possibly toxic and highly addictive ingredient - whether it is ‘kill-me-sweetly’ sugar (the root cause of Obesity and Type 2 diabetes), sodium (root cause of Hypertension), alcohol or caffeine. Getting sufficient high quality hydration, between 8 to 10 glasses of clean mineral water, into our body every single day is vital. As far as possible, the bulk of it should be consumed between meals. Having reviewed all the four quadrants of the plate (one-half devoted to vegetables & fruits and the remaining to quality proteins and whole grains), it is important that we keep everything in balance with our activity-level and lifestyle choices. Healthy fats and beverages, as well as anti-oxidant rich spices (like turmeric, ginger and garlic), can provide just the right finishing touches to the creation of a truly healthy, nourishing and tasty plate. To sum up, if the dictum, ‘Let Food be Thy Medicine’, is true in a general sense, it is even more so in terms of helping us prevent life-debilitating Chronic diseases, which can prove to be a huge burden on healthcare budgets and the quality-of-life in the coming decades.